The car will be loaded first thing Wednesday morning, suitcases for my daughter and me, the computer bag will be filled with everything needed to temporarily transfer my base of operations– and as soon as I don the traditional fedora, I will be ready to go. Its time again for our annual Father/Daughter trip to Washington DC for the Conservative Political Action Conference (CPAC). I am going not as a participant but as an observer joining approximately other bloggers and members of the mainstream media invited to cover the event. CPAC is more than a gathering of conservative-minded people; it is part educational, part networking, and part celebration. For the bloggers involved, CPAC is more than just an opportunity to meet key political figures, and report on politics as it happens, but it’s also something like a Star Trek Convention for political citizen journalists. Instead of carrying phasers and putting on pointy ears, we carry laptops and wear fedoras. I always look forward to CPAC…except maybe this year. Oh it’s not that I don’t want to go…no one is forcing me, twisting my arm or calling me a racist if I do not go–this year’s CPAC feels different. It’s not because Barack Obama was reelected, I was at the CPAC in 2009 just one month after his inaugural, it was a time to reorganize and figure out how conservatives should move ahead–this year’s CPAC feels different. For the past four years, the progressives (and many of the mainstream Republicans) have been trying to split up the GOP into two factions-grass roots conservatives vs. mainstream politicians–but this year’s CPAC feels different. This year the organizers of CPAC (the ACU) may have shot themselves in the foot, because this year–the conservatives at CPAC seem divided. Chris Christie wasn’t invited…a decision I agree with—but Jeb Bush who is just as “RINO” as Christie will be there. GoProud an organization of Gay Conservatives was one of CPAC’s sponsors two years ago and for the second year in a row was not allowed to be a sponsor (a decision I disagree with). Yet this year their absence seems more contentious than last. Either because of a true position or a desire for publicity the week after she trashed Rush Limbaugh, Columnist SE Cupp renounced her conference speaking part because of the GoProud decision (she was there last year after the ACU made the same decision). This year, I applied to speak and was ignored. I tried to get a room for an AFDI event, “The War on Free Speech,” and was ignored. So, for the first time in five years, I won’t be at CPAC. Last year Suhail Khan bragged out loud that he (and his other operatives) had successfully kept Robert Spencer and me from being invited to speak. He went so far as to warn people not to attend our events or read our books. When I called the ACU in an attempt to intervene for Pamela or at least to get a reason why her request was ignored…my calls and emails were also ignored. I don’t want you to think that it’s all negative. Heck, I could be wrong that this will be a very divided conference. I look forward to making new connections with politicians and their staffs, getting together with old friends from the blogging world, and this year’s Blog Bash an event for which I was part of the team this year. 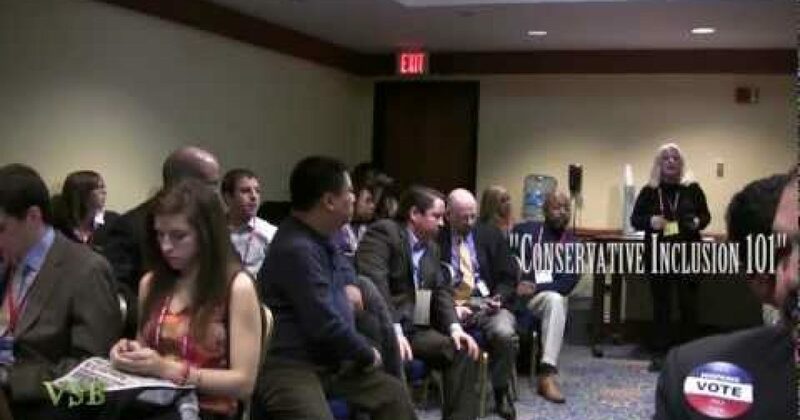 Usually CPAC is divided into two groups…the wackos bussed in by Ron Paul (called the Ronulins) and the normal people. I fear this years CPAC will be divided into even smaller factions. Yet in 48 hours, armed with suitcase, electronics and fedora…I will be heading to the nation’s capital and reporting honestly about who and what I see–hoping that this year’s even will spark a unification of the conservative movement (at least in purpose) rather than what I fear which is even more divisiveness. Sometimes I believe that conservatives have forgotten what Ronald Reagan said. The person who agrees with you 80 percent of the time is a friend and an ally — not a 20 percent traitor. Whatever happens, whether CPAC will unite or divide conservatives…you will get an honest reporting of what is happening at CPAC right here at the Lid.